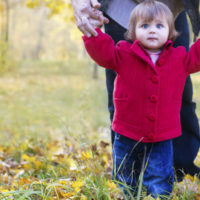 Determining child custody is a multi-faceted area with many factors to consider. However, the main issue courts consider when determining child custody is the best interest of the child. There are many factors the court will look at in deciding what is in the best interest of the child and no one single factor is most important. A knowledgeable child custody lawyer will help you understand the factors in depth, explain the importance of the factors and present you in the most favorable way to the court. Our experience handling child custody cases helps us to demonstrate that custody in your favor is in the best interest of the child. What are the psychological and physical capacities of the parties? Is there any evidence of abuse by either party, the party’s partner, or any child residing within the party’s home? Which parent takes care of the child, feeds the child, gets them ready for school? Which parent does the child turn to when they get hurt? What is the distance between the parents’ homes? How close do they live to the child’s extended family members? Is one parent closer to the child’s school and social life? How long has the child been separated from the parent? The wishes of the child may be considered based on the child’s age, intelligence and level of maturity. Which party is best able to help maintain family relationships for the child? Who will be open and objective about allowing the child to speak with the other parent’s extended family? Which parent has the financial resources to best support and care for the child? What material opportunities does each parent afford that can affect the future of the child’s life? In the past, has either parent voluntarily walked out and left the other parent to cope solely with the child and home? During the last break up, which parent left the family home? This is by no means an exhaustive list when considering the best interests of the child. By focusing on the child’s needs, it is possible to develop a child custody arrangement that benefits the child and parents as well. The devoted attorneys of the Law Offices of Todd K. Mohink, PA will advocate for you and your child. Contact our Glen Burnie and Columbia family law attorneys for a free consultation to obtain your preferred results in any child custody disputes. Let us focus on showcasing why you are the parent that is in the best interest of your child.